Brazilian Samba is energetic & percussive, taught by Frida Moses, Utah's Samba Queen 2017! 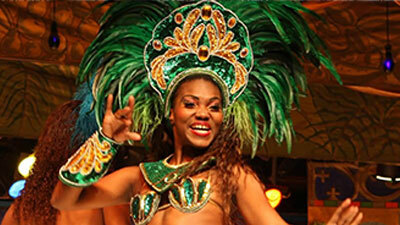 This course will teach you Rio style Samba - foot patterns, body movement, hips, & more! No partner needed since this is not a partnered class. Both men and women welcome since steps for both genders are the same, with slightly different styling. Dance to exciting, percussive music and enjoy this larger-than-life style! No previous experience needed. We recommend either heels or bare feet. BONUS: $10 discount when you purchase the full course by Feb 25! No previous experience is needed to join this course! Complete beginners welcome. Enrolling in the 2nd week of class? Please call 801.466.0490 to purchase, or purchase at the door.